We have been in business since 1993 under the same name and same ownership, we have never changed names nor do we intend doing. We’ve seen many rivals come and go over that time, actually we bought two of them and one thing they all had in common (Formula4 excepted) is a ‘careless or couldn’t careless’ attitude. We promise we will deal with your order personaly, we will speak to you as we like you to speak to us. In the unlikely event you experience a problem you can speak to a manager to resolve the issue. We believe no-one will handle your order with more care, more efficiency and more promptly than we will. We have learned a lot since 1993 and when we see a problem or where an improvement can be made we make it. Two recent examples being adding our own in-house paint booth and prep area, this has reduced our turnaround time on painted products and allowed us ,in some cases to reduce prices. Another example is adding ‘Live Stock’ to our website allowing you to know for certain that stocks are available when enquiring or ordering. Thank you for visiting our online store, if you feel more confident in actually visiting us in person and seeing before you buy, we welcome visitors six days a week and provide free tea & coffee. I would like to send my sincere thanks to you for dealing with my problem last week. I am very very thankful to you and your team, and I hope to return the favour in the future with continued custom to yourselves. Rear bumper arrived three weeks earlier than expected. Very impressed with delivery time. Fitted yesterday. I had to spread the chassis brackets out by 5mm to fit but otherwise a spot on fit. A little bit less chunky than the picture lead me to believe but all around happy with your service. I write to thank you for the order, It has arrived yesterday and everything is ok. The vehicle looks much better now with the new stuff! Many thanks for the excellent service, I ordered on Saturday evening, expecting delivery on Wednesday or Thursday and get home from work, on Tuesday, to find the delivery had arrived. My tonneau cover for L200, I ordered it at 13:27 on the 23rd May. I received it at 12:00 on the 24th may. It was fitted and in use by 1400hrs. Many thanks, there was no postage either. Excellent. 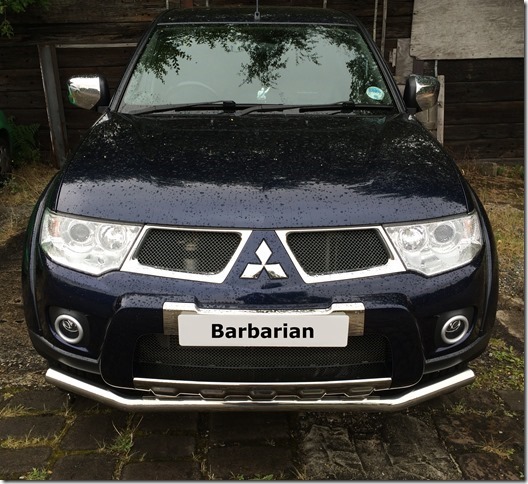 I purchased a set of window deflectors from your company for my Freelander 2 on Tuesday last, your product description is very accurate & delivery service very quick. I couldn't wait to get home & fit them when they arrived on Thursday. The instruction sheet you sent with the deflectors was spot on & I had them fitted within 20 minutes of opening the box, following the instructions to the letter. They work perfectly, look great & are securely stuck!! Received Side Bars today. Excellent Quality, very happy with purchase, and delivered on time. Many thanks for your help. Just a line to say I sorted out the credit with PayPal and the monies in my Bank. Would just like to say thank you to all at 4x4 for the custmer service through our journey together. Ordering steps and bumpers, front bumper getting lost on the way, and finally a walk around various departments in PayPal. It's been a pleasure dealing you and I would recomend your organisation to anyone. 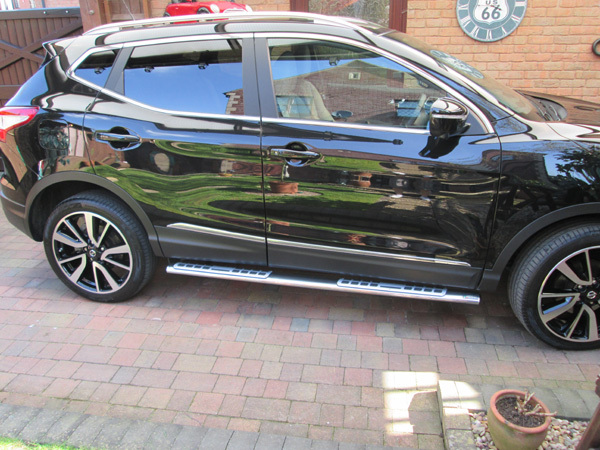 just got round to fitting the Misutonida Design bars on my Qashqai .I am wary of buying accessories that are not supplied by the vehicle manufacturer (had some disappointments in the past) but these bars are brilliant. The fitting kit is excellent, everything fits perfectly, all the holes line up, no modifications required. Very pleased with my purchase and your service, so pleased I thought I would send you a picture of the fitted product. Parts arrived, all fitted and the cover opens fine now. excellent service and I’ll recommend you to others if asked. Just wanted to say many thanks once again for the superb service received. The City Bar arrived this morning. Bar brackets lined up perfectly with the threaded holes in the chassis and the bolts supplied were a perfect size. Thanks for the Jimny Window Visors they fit like a dream. Just wanting to thank Rob Ryan and your team. I am thrilled with my purchase of weather shields for my 2012 Ford Kuga Ihave fitted them today and they are perfect! Accessories like these are very difficult to get through Ford in Australiaand was giving no assistance from the dealerships to help purchase them. Rob Ryan was very helpful with my purchase to which I am grateful. I purchased the shields on Monday and they arrived Friday of that week, Iwas shocked, if I was to purchase within Australia I would have to wait upto 3 weeks for delivery of anything! So once again thank you and I will definitely purchase through 4x4at in thefuture and recommend you to all my friends. 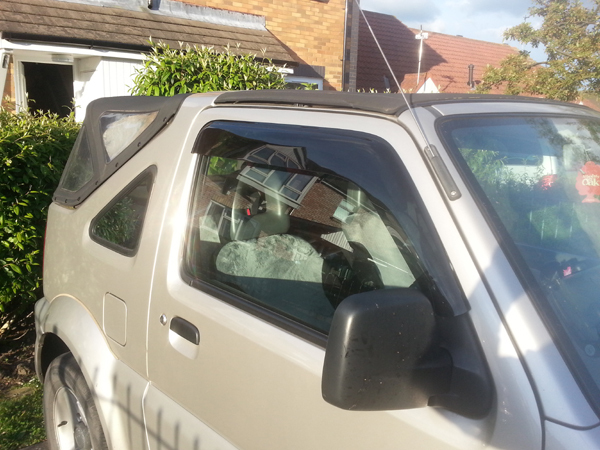 Nissan Navara D23 Quad set wind deflectors. Really love the window deflectors I fitted today all I can say to other people is watch the video. 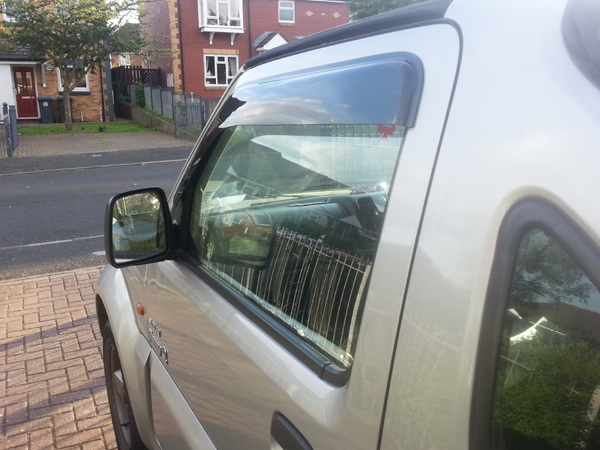 Hilux Mk6 Double Cab Wind Deflectors. Please find attached 3 pictures of my hilux with the wind deflectors fitted which were supplied by your company. I followed the YouTube video fitting guide and had no probs at all. Great product, easy to fit, looks good. Thanks Tim , auto glass have finally phoned me about 10 Mins ago and I have told them to contact you as you have the parts! One agin thank you for all your help, you’ve been great. I would just like to say thank you for the great response and customer service that you have provided by replacing the faulty steps,the steps arrived yesterday morning and will be fitted at weekend. The communication and help you provided is great and I will be recommending you to anybody who is interested in you products. I’d just like to say thanks for your wonderful service. The parts arrived on my doorstep (in Australia) just 3 ½ days after they were picked up by the courier. Unbelievable! All parts were in excellent condition and fitted perfectly. I cannot thank you enough. Thanks again, I’ll spread the word of your business and your service. Just wanted to say many thanks for fitting me in today and doing me a deal on all my bits – much appreciated and a pleasure to deal with you as always. Clive is a great fitter – I wish I could find staff like him! I recently phoned to order a set of bars as above. These arrived in record time and I was very happy with them. Unfortunately there was a part missing from one of the clamps. I called about this and was told that the part would be sent to me. I was delighted when the part arrived 24 hrs later. I would just like to thank you and complement you for the service which you provided which was speedy, efficient and delivered with courtesy and patience. It is gratifying to deal with people who do exactly what they say they will. I just want to inform you that the cover has arrived yesterday. Everything is fine and it fits perfect on my truck.Thanks again for your help. Despite the real long delivery time it was always a good conversation and fast response from your side. Can't believe there are still people in retail that actually care. Very easy fitting process, and noticed an immediate power gain, MUCH faster acceleration, better hill climbing ability, and it hasn’t increased fuel consumption, the cab computer is actually saying average 32.2 MPG (rural) – it used to be 31.1 MPG on the same routes ive been doing since Friday so already possibly a small MPG gain, will be even better on the open road. Dead Impressed. Will put something on my blog about it and refer to your site. Performance Chip with K & N Filter 07-06-13Having just returned from 4x4 Accessories and Tyres, I found myself astonished at the improvements to my Nissan D40, made during a relatively short stay.I had fitted a tuning chip to increase the performance a little, but mainly to improve my fuel consumption figures, and was also advised to fit a replacement K & N Filter, which would help my diesel engine to breath more efficiently. Well, I really couldn’t wait to pick up the phone and call , explaining that I had in fact returned a 20% improvement on my fuel consumption, driving in exactly the same way on the way home! Good morning Tim.. Many Thanks For not only the picture, But also for the Shutter and bars..And thanks to Clive I can,t fault his work....If you ever did.... need a reference /recommendation I,d be happy to help..
Nick, just wanted to let you know the liner arrived as you said, many thanks for your help, will be in touch once I've saved up for the sports bar. I searched all over the net in the UK to replace my road tyres on my 4x4 which were an Avon Ranger TSE, I came across this site and because the prices were very reasonable indeed and Colin who initially helped me nothing was too much trouble for him and he couldn't help me enough, so I thought they would get my business, I weighed up buying a remould but without being snobby, my wife and children ride around in the frontera, so I decided to buy a new Premier MT 245/75/16, these wheels went on a B series 1998 Vauxhall Frontera and fit perfectly, this tyre is an excellent buy, there is no more road noise from the Premier MT than the Avon Rangers that were pretty quiet, now then call me dull if you like but why would anyone want to buy a remould when you can buy the Premier MT for a couple of quid more, it has an excellent chunky tread without going over the top and it has white lettering on the side which looks nice, these tyres are in my humble opinion fantastic, I appreciate that there are a lot other MT tyres out there, some more than double the price but for as long as 4x4 tyres.com sell these wheels they will have my business.If you are looking for an excellent MT tyre which has great road manners, quiet, with a nice looking chunky tread, look no further than these tyres. The website pictures do not do them any justice at all and at the price, they have to be the best value for 4x4 tyre in the UK. as you had gathered by now, I am over the moon with my choice. Colin, thanks for help and patience. I would like to give you some well deserved positive feedback, as i know it is as rare nowadays, as excellent service. 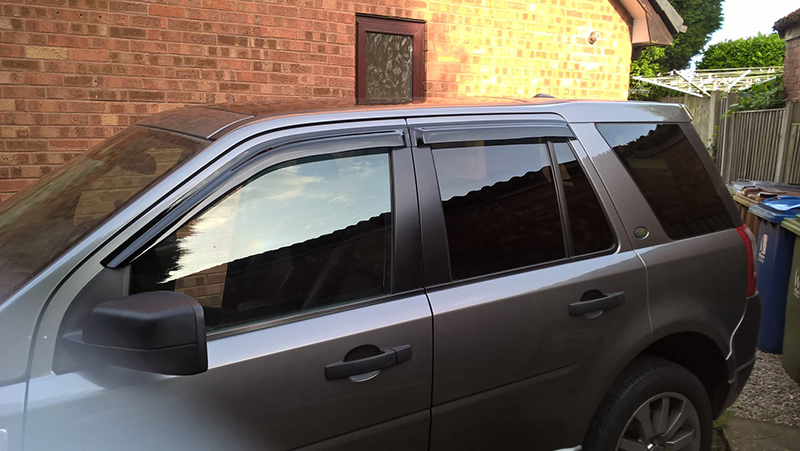 My husband phoned your company about 10am on Monday this week and ordered a pair of sliding windows to fit in a truckman back on a Ford Ranger, he spoke to Simon and was hoping they would arrive in time to be fitted to go to Scotland next Monday. I was shocked when they arrived at 8am the next day, i thought there would have to be some sort of problem, like the wrong fittings. I'm afraid in my experience, things just don't go this smoothly. 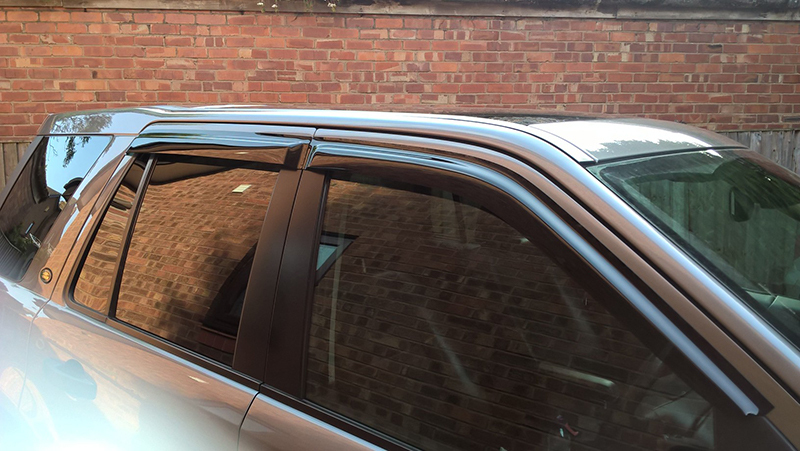 My husband did a wonderful job of fitting them, after discussing this with Simon and i would like to thank your company for such wonderful service, you will be highly recommended by us.